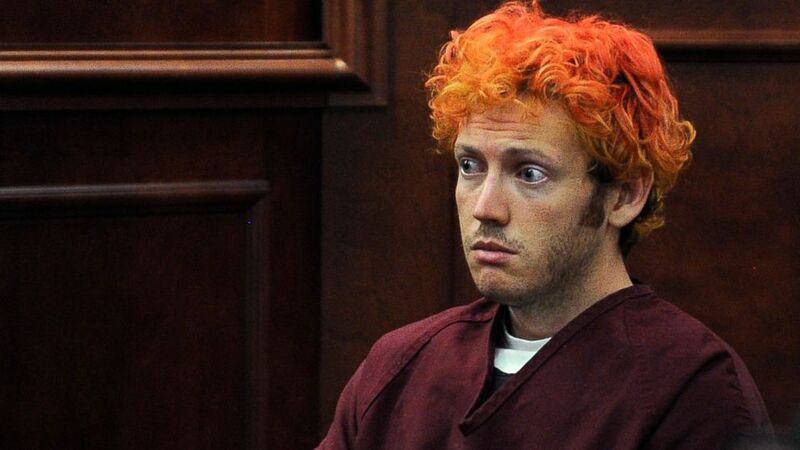 Shooter James Holmes is serving life in prison without parole. 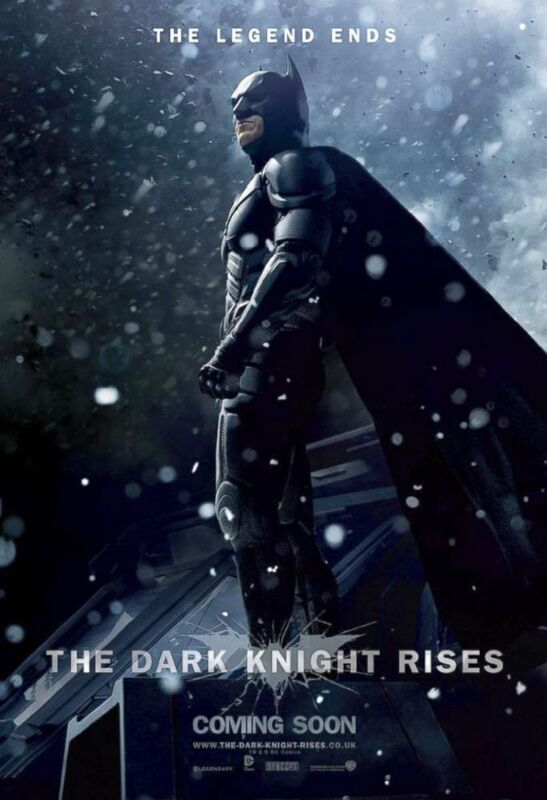 It was a cool summer night on July 20, 2012 in Aurora, Colorado, as Batman fans took their seats at the Century 16 movie theater for a midnight showing of "The Dark Knight Rises." The highly anticipated third installment of the Batman trilogy opened to packed auditoriums at midnight showings across the country, but little did the moviegoers in Aurora know that their attendance to see the summer blockbuster would come to a terrible conclusion in real life. Five years later, here is a look back at the devastating shooting that shocked a nation. In the 60 days leading up to the shooting, Holmes had purchased four guns from local shops and more than 6,000 rounds of ammunition, police said at the time. All of the weapons and ammunition were purchased legally, police said. Holmes had bought a ticket to the movie before slipping out and propping an emergency exit open, federal law enforcement sources told ABC News. About 30 minutes into the movie, Holmes had gathered his weapons and re-entered the movie auditorium through the emergency exit wearing a ballistics helmet, bulletproof vest, bulletproof leggings, a gas mask and gloves. Holmes then detonated multiple smoke bombs before he unloaded four weapons' full of ammunition into the unsuspecting crowd of hundreds of attendees, police said. Ten victims died at the scene, while another two died at local hospitals. Among the dead was a 6-year-old girl. Seventy people were injured in the ordeal, police said. Most were injured by gunfire, but a "handful" were injured during the chaos that ensued. One injured victim was hit by gunfire in an adjacent theater. A 3-month-old was among those taken to the University of Colorado Hospital, but he or she was quickly discharged, Dr. Comilla Sasson told ABC News at the time. Twenty-two victims were taken to University of Colorado Hospital that night. 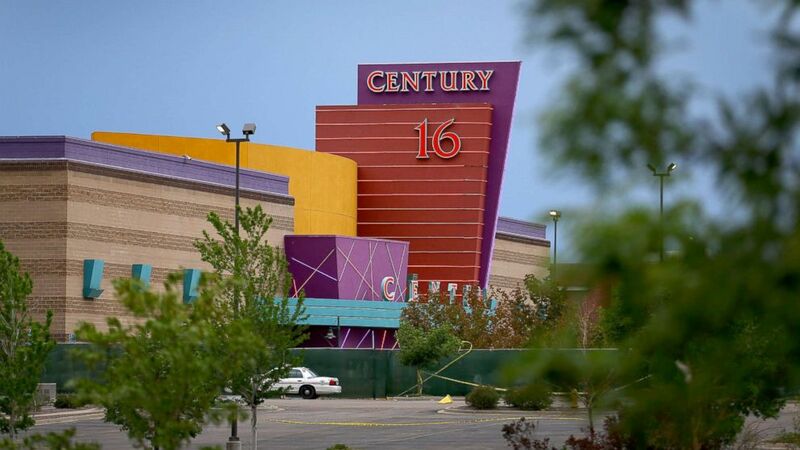 (Thomas Cooper/Getty Images) Investigators are on the scene at the Century 16 movie theatre where a gunmen attacked movie goers during an early morning screening of "The Dark Knight Rises," July 20, 2012, in Aurora, Colorado. Witnesses said they thought the smoke and gunshots were part of the movie until they saw Holmes standing in front of the screen. "You just smelled smoke and you just kept hearing it, you just heard bam bam bam, non-stop," one witness told ABC News in 2012. "The gunman never had to reload. Shots just kept going, kept going, kept going." Moviegoer Christopher Ramos told ABC News in 2012 that "people were running everywhere," including on top of him, and called the shooting a "real-life nightmare." "I froze up. I was scared," Ramos said. "I honestly thought I was going to die." Some lied on the ground to protect themselves. "I'm with coworkers and we're on the floor praying to God we don't get shot, and the gunshots continue on and on, and when the sound finally stopped, we started to get up and people were just bleeding," another theatergoer said at the time. At one point, Holmes exited the theater, only to wait outside and shot patrons as they attempted to flee, witness Jennifer Seeger said on "Good Morning America" after the shooting. Police apprehended Holmes in his car behind the theater within minutes of the shooting. He was found in full riot gear and carrying three weapons, including an AR-15 assault rifle, a Remington 12-gauge shotgun, and a .40 caliber Glock handgun. A fourth handgun was also found inside the vehicle. Holmes told arresting officers that he was "The Joker," referring to the villain in the second installment of the "Batman" movie trilogy, "The Dark Knight." (RJ Sangosti/Denver Post via AP Photo) In this July 23, 2012, file photo, James E. Holmes appears in Arapahoe County District Court in Centennial, Colo. Holmes was being held on suspicion of first-degree murder, and facing additional counts of aggravated assault and weapons violations stemming from the mass shooting in a movie theater in Aurora, Colo., that killed 12 and injured 70 others. When Holmes was arrested he warned police that he had booby-trapped his apartment. The next day, police, bomb squads and agents from the federal bureau of Alcohol, Tobacco and Firearms found a large number of explosives devices and trip wires at Holmes' apartment. 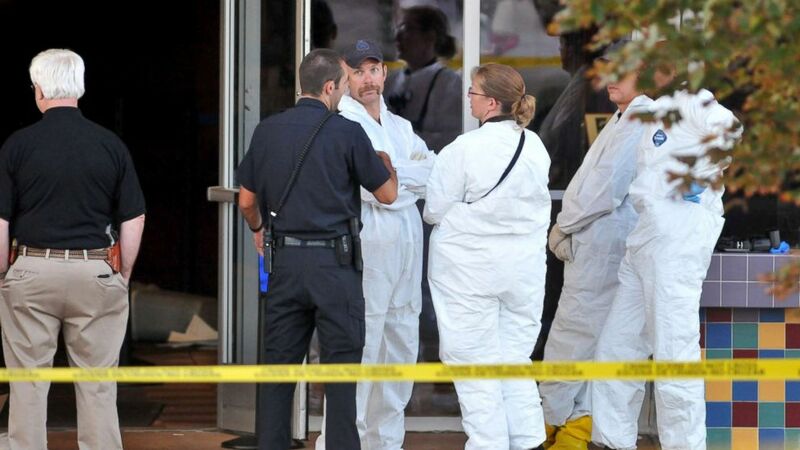 At first, Hazmat teams had to proceed searching Holmes' apartment with caution, since the materials could have blown up Holmes' apartment building and the ones near it, police said. (Courtesy District Attorney's Office for the 18th Judicial District of Colorado) A still from unreleased video shows the Aurora movie theater gunman's booby-trapped apartment. Video from a bomb squad robot showed gun powder, gasoline and motor oil scattered across Holmes' apartment floor. 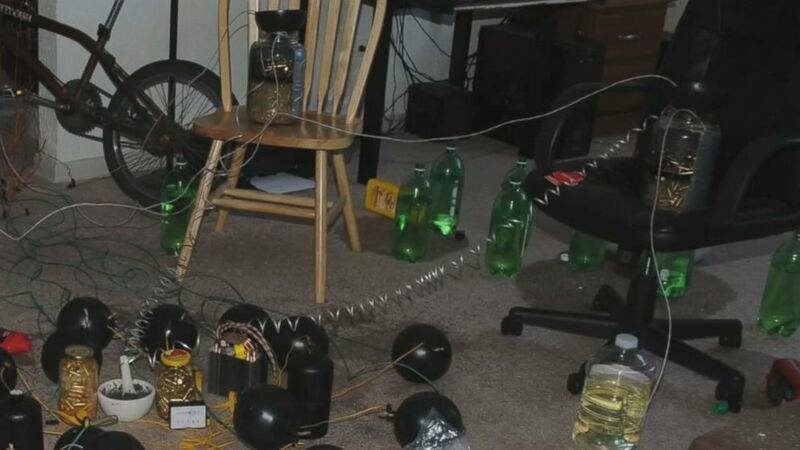 The video also revealed dozens of black spheres with fuses all connected to them and pickle jars filled with liquid and bullets inside of them. The first booby trap was a trip-wire made of fishing line with one end connected to the door jam and the other connected to a thermos, said Richard Orman, senior deputy district attorney for the 18th Judicial District of Colorado. The thermos had a bottle of nearly pure glycerin perched precariously on a frying pan that contained the chemical potassium permanganate. If the glycerin had fallen in, it would have ignited an explosion big enough to blow up the entire apartment, Orman said in 2015 following the release of an FBI report. More than 20 bombs and incendiaries were found in the apartment. On Aug. 7, 2015, more than three years after the shooting, Holmes was sentenced to life in prison without parole. Holmes avoided the death penalty because the jury could not come to a unanimous decision. In July 2015, Holmes was found guilty of all charges against him, included two counts of first-degree murder for each of the deceased victims and two counts of attempted murder for reach of the 70 others who were injured but survived. Holmes had admitted to the killings but argued that he was not guilty by reason of insanity. His attorneys pushed for him to be committed to a mental hospital for the rest of his life. State prosecutors sought the death penalty. (Joe Raedle/Getty Images) The Century 16 movie theatre is seen from a memorial setup across the street, July 28, 2012 in Aurora, Colorado. Holmes was originally from Riverside, California and attended the University of California branch there, Aurora Police Chief Dan Oates said after the shooting. Neighbors had reported that Holmes lived alone and kept to himself, Oates said. Prior to the massacre, Holmes was an honors students and Ph.D. candidate at the University of Colorado medical center, authorities said. He had a clear arrest record. An acquaintance of Holmes said he did not show any anger or anti-social tendencies in the days before the shooting. "He seemed kind of geeky," said Jackie Mitchell, who lived a block away from Holmes in Aurora. "We just talked about football ... that kind of thing." Another neighbor, Kaitlyn Fonzi, who lived directly below Holmes, said she heard loud techno music coming from his apartment the night of the shooting. Psychology experts at the time told ABC News that while it's hard to know what Holmes' state of mind was before the rampage, certain details, such has him referring to himself as "the Joker," suggest that he was a deeply disturbed individual. After the shooting, Holmes' mother and her husband released a statement saying their "hearts go out to those involved in this tragedy and to the families and friends of those involved." Editor’s note: A previous version of this story incorrectly stated that Aurora was the deadliest shooting in the U.S. since Columbine. ABC News' Colleen Curry, Kevin Dolack, Meghan Keneally, Carol McKinley and Clayton Sandell contributed to this report.